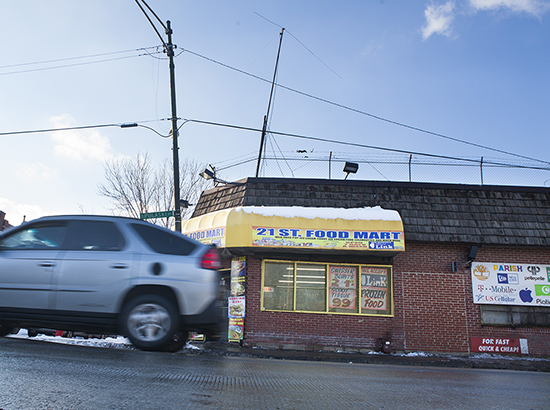 Monther Omar opened the doors to North Lawndale’s All n One convenience store in 2009. Every morning, the 59-year-old, who came to U.S. eight years ago from Palestine, opens his store at 7:30 and greet regular customers who stop by for the fresh meat and low-priced snacks. Like 90 percent of stores in its 60623 ZIP code, All n One accepts Link cards from customers who receive benefits from the Supplemental Nutrition Assistance Program, formerly known as food stamps. 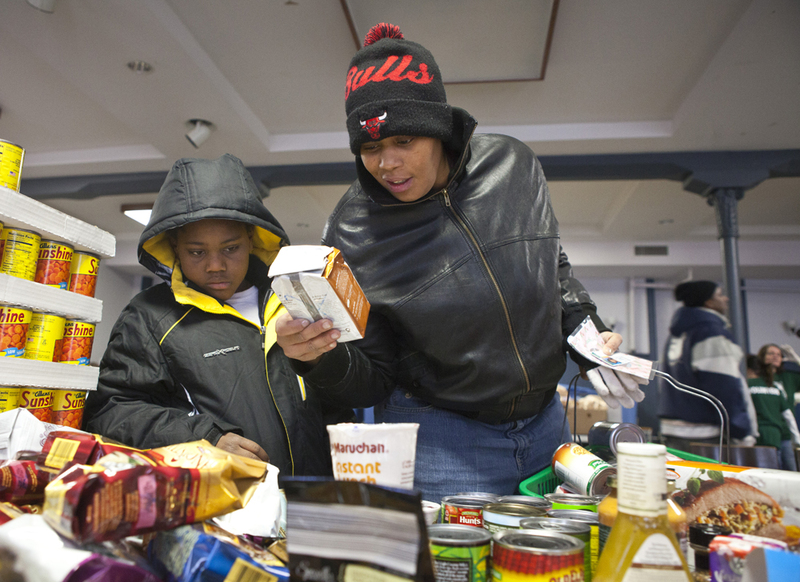 Nearly 8,000 households–accounting for about 34 percent–in the area are SNAP recipients, the highest among 56 Chicago ZIP codes. Omar’s business hasn’t been going well lately. On Nov. 1, Congress ended a short-term stimulus package for SNAP, and many of his customers have been left with less to spend. According to the Illinois Department of Human Services, food allowance for a family of three fell by $29 a month. Omar estimates that his sales have dropped by between $1,000 and $1,500. The cut in SNAP benefits is putting some grocery stores like Omar’s at risk of going out of business. 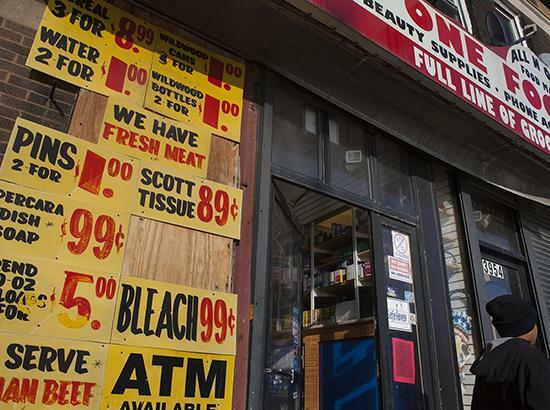 The effect is being felt acutely among independently owned, small-business grocery stores around the city that are less equipped to absorb losses in sales. Almost 70 percent of all stores that accept SNAP in Chicago are small-business grocers that tend to operate out of neighborhoods with a high concentration of SNAP recipients, shows a Chicago Reporter analysis of data from the U.S. Department of Agriculture and U.S. Census Bureau. Within 17 ZIP codes where SNAP recipients made up more than 25 percent of the residents, small-business grocers made up more than three-quarters of all SNAP accepting stores, the Reporter analysis shows. The situation could get even worse for small-business grocers and their customers. Congress is likely to announce huge budget cuts to SNAP in early January as part of the new farm bill, which traditionally includes nutrition subsidies, according to Stacy Dean, vice president of food assistance policy for the Center on Budget and Policy Priorities, a Washington, D.C.-based think-tank. Last year, both chambers of Congress suggested cuts to the program, with the Senate’s version proposing a $4.1 billion reduction over 10 years, while the House pushed for $40 billion in cuts. An estimated 14,000 jobs are lost for every $1 billion reduction in SNAP, according to a report by the Center for American Progress. “We will withhold judgment on the farm bill until the finalized version is released in January,” Dean says. Elliot Richardson, CEO of the Small Business Advocacy Council, a Chicago-based nonprofit that promotes the interests of small businesses, says the interests of small grocers are often overlooked. Though his English-speaking skills are poor, Saeed, a Yemeni who lives in Chicago Lawn, has a warm rapport with his customers and helps out when he knows one of them is in hard times.